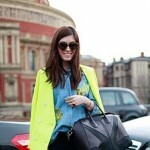 Capture the hottest trends from these amazing looks spotted in London!! The floral trend blossoms throughout outfits and bright colors anounce the end of winter!! Get ready and create your spring look using inspiration straight from the … sidewalks. 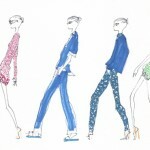 I love this Spring Summer 2012 trends. Neon color shoes, bright jeans and floral dresses are my favorite. Right now I am going through a yellow phase but I can’t wait to wear pastels and florals!!! I love it all as well! I am trying to rock some floral prints also, but have to find a way to incorporate them into my style 😉 Great post and so very inspiring! I am sure you will find it, Miranda !!! You are sooo stylish!! nina…it’s true..floreal , floreal and color!!! These photos are all so inspiring! Love the new blog design as well!